Earle A. Davis, JR. was born in Aliquippa, Pennsylvania to a family of steel workers that had immigrated to America and settled in the Pittsburgh area. Earle soon learned that he would need a college education if he were to realize his goal of becoming a school teacher. He completed the first step of his college education in 1941 by earning the Bachelor of Science degree in biology and education at Grove City College and then followed in 1943 by his receiving the Master of Science degree in Ecology at the University of Pittsburg. It was at Grove City College that Earle met his future wife and life companion, Margaret Hahn, also a student at Grove City College. In 1943 Earle's education was interrupted by World War 2. He and Margaret married and Earle then joined the army air force to become a paramedic. Earle Davis served honorably in the Pacific seeing action on several island chains of the central and south Pacific. He once told me that in one of the crucial, final campaigns of the Pacific War, while stationed for several months on the volcanic island of Iwo Jima, volcanic ash stained his skin a brilliant brown which did not completely disappear until after a year of being discharged from the service in 1946. In 1946 Earle returned home to Margaret and to the rest of their 69 years together. Earle spent the postwar years teaching courses in biology, while Margaret taught primary school. Their combined earnings, together with funds from the G.I. Bill, allowed him to continue with his education. Earle taught at a number of small colleges in the Midwest. He gave several courses including embryology, histology, general zoology and physiology to biology students, and anatomy and physiology to nursing students and those studying oral hygiene. While he was teaching at Buena Vista College in Iowa, Earle enrolled in a doctoral program at the University of Illinois, and he was awarded the Ph.D. degree with a double major in Physiology and Zoology in 1953. Which means that Dr. Earle Davis was capable of carrying a heavy teaching load in an Iowan college at the same time finishing his doctorate research miles away at the University of Illinois. From the Midwest, Earle and Margaret next headed east to West Virginia where the now Dr. Davis accepted a teaching assignment at West Liberty State Teacher's College (1953-55). Once again he instructed students enrolled in undergraduate biology and nursing and oral hygiene students in anatomy and physiology. In 1955, the Davis' finally moved to southern California where Dr. Davis accepted an associate professorship at the College of Osteopathic Physicians and Surgeons in Los Angeles. His teaching commitment was heavy with lecture and laboratory instruction in embryology, histology and physiology. In 1962, seven years after Dr. Davis joined the osteopathic college, the first of two decisions were made regarding the future of the Osteopathic College of Los Angeles. First, The California State Legislator in Sacramento approved the transformation of the Osteopathic school to an Allopathic medical school, in which students receive the required training to become allopathic medical doctors and earn the M.D. degree on graduation. The new college was named the California College of Medicine. Second, a relocation of the California College of Medicine from Los Angeles, to the newly established campus of the University of California at Irvine was approved by the Regents of the University of California. For Earle the basic sciences curriculum at the California College of Medicine was not significantly changed from his bas al science instruction at the Osteopathic College. Therefore, Dr. Davis did not need to put much new effort into his teaching in the Department of Anatomy. However what did change after the college became allopathic was that Dean Warren Bostick successfully recruited new faculty in clinical departments that provided the medical school with a fresh supply of outstanding clinicians. Many of these new recruits established their own research laboratories. Dr. Davis befriended these physicians and a new and important phase of his academic life program began in which Dr. Davis provided clinically oriented anatomy presentations on topics clinicians were themselves investigating. His presentations were both well attended and received, and he now became a welcome visitor to the Departments of Orthopedics, Urology, Otolaryngology, Ophthalmology and General Surgery. Interestingly, in the 1970's Dr. Davis also developed two university extension courses which targeted the layperson, "Anatomy for Laymen" and "Advanced applied anatomy for Laymen." Dr. Earle Davis served on several key committees. 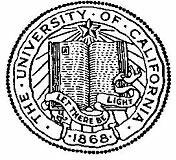 First and foremost was the American Association of University Professors (AAUP) for which he became the University of California Chapter President from 1967 to 1970. Dr. Davis, who was a long standing member of the AAUP (1954 to 1988), considered this committee vital to insuring that faculty members be allowed to perform their duties as teachers and researchers without outside interference. I would speculate that he considered the AAUP as especially important during the transition from Osteopathic to Allopathic Medical College. I would also speculate that Earle Davis viewed the AAUP as equally essential in the relocation of the College of Medicine on the University of California Irvine campus. The medical college was moved to Irvine in 1968-69. The Davis' relocated, leaving their home in La Canada Flintridge near Pasadena, for a new home in the Tustin Hills of Orange County, this in reasonable driving distant of Irvine. This was a good move for Earle Davis because he loved gardening and now a large yard area presented him with opportunities to develop his own garden including the addition of Italian Cypress trees and the appropriate selection of bushes and flowers for a climate like that in Italy and southern California. Terracing the yard in the classical Italian mode is something I believe Earle had intentions of doing. He also made appropriate changes to the house. Dr. Davis' teaching in the Department of Anatomy was well received because the medical students appreciated his ability in, and love for, teaching; and equally because of his desire for them to learn the subject matter. But he knew that it was not enough to teach well and to be appreciated on the home campus. He had to teach some of what he had learned from clinically oriented anatomy and physiology lectures he was giving to physicians, and he preceded to develop a series of lectures designed for presentations at numerous universities and other medical institutions along the west and east coasts of America, followed soon afterwards by European medical schools and related medical facilities. The following is a sampling of universities/ departments where Dr. Davis lectured: Yale University, Department of Otolaryngology; University of Paris, Department of Ophthalmology; University of Vienna, Dept. of Ophthalmology; University of Southern California, Dept. of Otolaryngology; University of Pennsylvania, Dept. of Ophthalmology; University of Pittsburgh, Dept. of Ophthalmology; Western Medical Center in Santa Ana, California, Dept. of Neurosurgery; University of Wales at Cardiff, Dept. of Optometry and Visual Sciences, and the Karolinska Institute, Stockholm, Sweden, Departments of Ophthalmology and Otolaryngology. Dr. Davis’ love of, and commitment to, teaching is what most characterized his academic career. He actively sought opportunities to teach, and even beyond his own rigorous schedule, he often planned extra review sessions for medical students that occurred during lunch hours, after hours in the late afternoons, and especially so before examinations. Dr. Davis regularly carried a teaching load in excess of any of his departmental colleagues, and he took pride in referring to himself as “the workhorse of the department.” Dr. Davis would often greet colleagues in the hall or coffee room with his characteristic question: “Workin’ hard, or hardly workin’?.” He encouraged his faculty colleagues to take seriously their teaching roles, even though most of the usual academic rewards and advancements were based principally upon research productivity. Because of his encyclopedic knowledge of Anatomy and Histology, Dr. Davis was especially helpful to younger faculty, particularly those who were taking on their first major medical school teaching assignments. He shared his knowledge of anatomy, his ability to write clear and challenging examination questions, and the myriad of educational ‘tricks’ he had acquired during his many years of teaching. Dr. Davis was a master in the use of mnemonics as aids in remembering the plethora of facts in anatomy, and he commonly referred to these insights as “Earle’s pearls.” The medical students loved these. It is difficult to calculate the number of students who were educated by, and influenced by, Dr. Davis, but that number would easily extend to several tens of thousands. He was, and is, respected and appreciated for his love of the subject and his love of the teaching mission. In the future, his brand might be difficult to find.